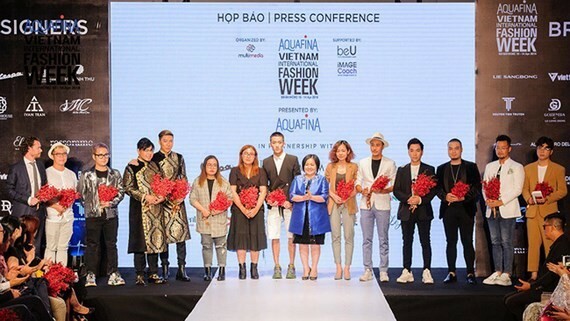 The 9th Vietnam International Fashion Week, one of the country’s largest events of its kind, will take place at Nguyen Du Indoor Stadium in HCMC on April 11-14. 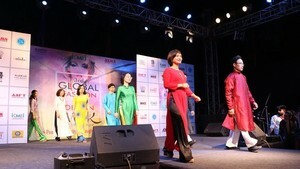 The four-day fashion show themed “Shape the future” will present latest collections by Vietnamese famous designers including Chung Thanh Phong, Ha Linh Thu, Nguyen Tien Truyen, Ly Giam Tien; and popular brands, such as Viet Tien Garment JSC, Golden Era by Le Long Dung, Minh Chau Ao Dai,Tiny Ink, Duc Vincie, Bao Bao House, Ivan Tran. The event also attracts International designers, Puglia Region of Italia, Chung Chung Lee and Lie Sang Bong of South Korea, Frederick Lee of Singapore and Kit Woo from Malaysia. Local and foreign designers Chung Thanh Phong and Lie Sang Bong will kick off the runway show. Lie Sang Bong is one of Korea’s preeminent fashion designers. He established the LIE SANGBONG brand in 1985. He received critical acclaim and has been featured in publications including: Vogue, Vanity Fair, W, The New York Times, Le Figaro, The Telegraph, Elle, and Harper’s Bazaar. Mr. Lie has dressed notable women such as Korea’s First Lady, Beyoncé, Rihanna, Lady Gaga, Rosario Dawson, Kelly Rowland, and Juliette Binoche. The designer currently acts as the president of CFDK (Council of Fashion Designers of KOREA) and a cultural Ambassador for the City of Seoul.